improved, and they ‘all sat in the garden to consume warm German potato salad with red cabbage and Nuremberg sausages followed by homemade apple pies and cheese, washed down with large quantities of beer and wine’. ‘In November, Dennis promised a gentle car rally followed by lunch. However, it proved to be quite a long trip through the Sierras and beyond the Jalon valley. Some ducked out, opened their envelope and made a quick dash to the Don Quixote restaurant in Orba where a roaring fire and a good lunch put them at peace with the world. wonderful summary of his journey in which he participated with 138 other boats from all nationalities. The pre-sail briefings were held in the same monastery as the original voyage, and before setting sail from Las Palmas, a new statue to Columbus was unveiled with the names of all the participating boats on the plinth’. Rico, and when their desalination plant broke, they were grateful for the rain so that they could shower on deck. On arrival in San Salvador, each boat planted the tree that they had been given, in a commemoration park’. Alex’s trip was featured in the 41 Club Magazine. David Cox, who had only recently been able to return to his office in the Baltic Exchange in the City of London after a year of repairs, had again had it blown up’. Joe Barnfield was elected Chairman for 1993/94, with David Noakes as Secretary and Albert White as Treasurer. In an almost unprecedented event, there were more than one nomination for two of the places on the committee, and voting actually took place. 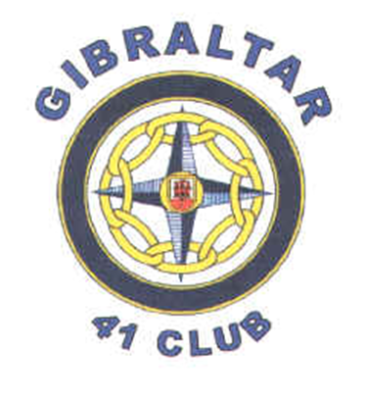 Three Costa Blanca members went to the Mallorca 41 Club Charter. ‘The plan was to just pop over the odd 100 miles late one afternoon, meet the chaps, attend the Charter Dinner and be back around midday the following day, at a very reasonable price. Not a bit of it. The cost was greater than going from the UK. We had to leave Javea at 7.30am to catch the only flight of the day, which arrived one hour after the tee-off time reserved at Santa Ponsa Club de Golf. We did not return until late the following day. We were a bit aggrieved later to find that for the same price this month, we could have had 7 days in a good Palma hotel’. Mallorca 41 Club’s Charter was presented by the National Secretary of Ex-Tablers Clubs, Geoff King. He advised that there were quiet discussions being held with international clubs on the continent to try and resolve the present impasse partly due to the UK opting out of 41 International, and French 41 Clubs allowing non ex-Tablers to join 41 Clubs and then subsequently appointing them as Presidents and Council Members. He also said that we would be horrified at the squandering of International funds by members of the past International Council. quit! A desperate search for a new ‘private room’ venue commenced. This is the sisth of a series of articles on the history and development of the Costa Blanca 41 Club. It is being compiled from a large number of newsletters recovered from files held by Tony Ogden, who played a major part in the development of the Club and later in the development of the group of clubs now known as the ‘Iberian Cluster’. All the text above in italics is directly quoted from newsletters published at the time, and the web posting and additional illustration images are provided by Gordon Macnab.